It’s surprising that Fiji does not offer more liveaboard trips for scuba divers. 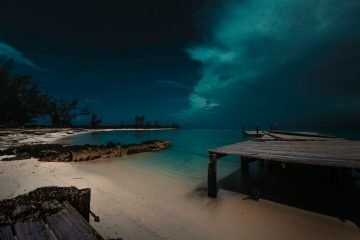 Throughout its 300 islands, there are soft coral reefs, hard coral reefs, areas rife with sharks and manta rays, as well as pockets of reef that have yet to be truly explored. 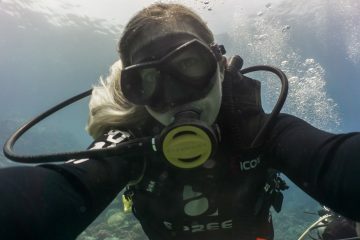 Why scuba dive in Fiji? 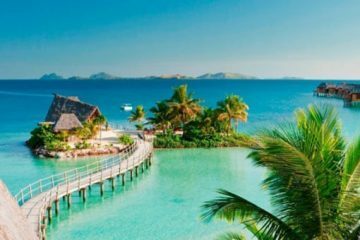 Best time to dive in Fiji: Since Fiji is so spread out, it’s always a great time to dive somewhere at any point in the year. 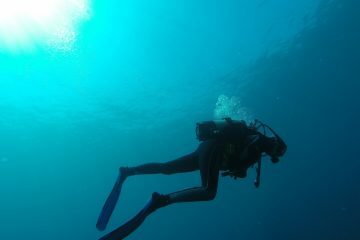 For the best weather and visibility, dive between March and October. 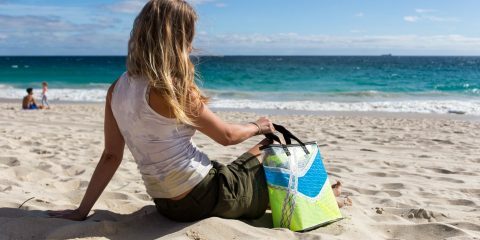 This also coincides with the best time to see sharks and mantas in Fiji’s waters. Dive ability: Overall, Fiji tends to offer calm dives with mild currents. There are a vast variety of dive sites and sites, though typically they are intermediate and even beginner-friendly. What you can expect to see on a Fiji liveaboard trip: Fiji is known as the soft coral capital of the world. 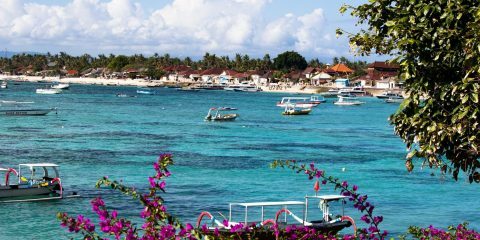 You can also expect to see many species of sharks, reef fish, manta rays, eels, turtles, sea snakes, pinnacles, and much more. Why choose a Fiji liveaboard trip over a land-based dive trip? 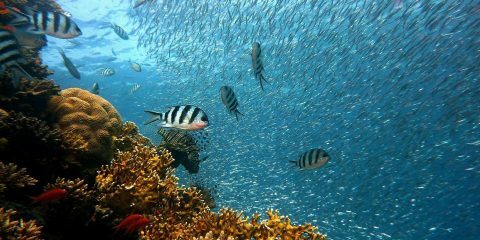 : No matter if you are island hopping or diving via a liveaboard, expect Fiji to be one of the pricier places to dive. 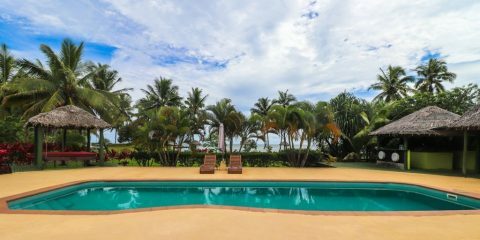 Since dive resorts tend to be spread out, you will only be able to dive a handful of sites from each dive resort. 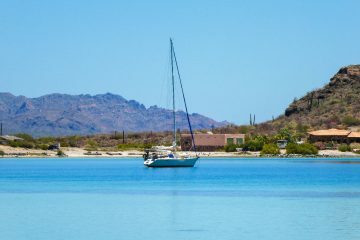 Meanwhile, a liveaboard trip is likely not to be that much more expensive and makes island hopping much easier. 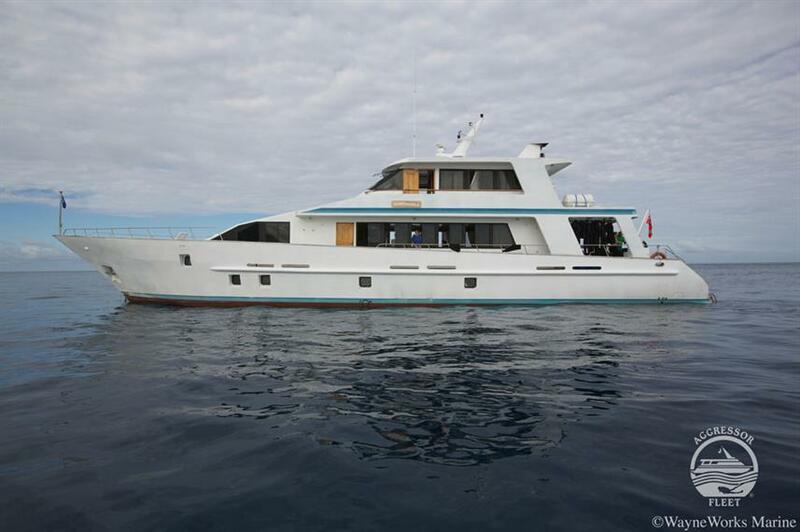 At 31-meters long and hosting just five cabins that can host ten guests, the Fiji Aggressor is a dedicated scuba diving liveaboard that frequents the Nigali Pass, Wakaya, Koro, and Namenalala Islands. The liveaboard trip runs at least four dives per day from both the ship itself as well as a tender when relevant. There are also a variety of day trips to traditional Fijian villages available. Each room comes with bathrobes, wardrobes, hair dryers, and fresh towels. Four of the rooms are twin bunk bed configurations while one master room has a queen bed and window. On deck, you can hang out on the sundeck lounge area or inside the saloon that has an entertainment system. Like all Aggressor liveaboard trips, food onboard is top notch and beer and wine is complimentary with meals. Food tends to be a mix between seafood, American food, and European fare. 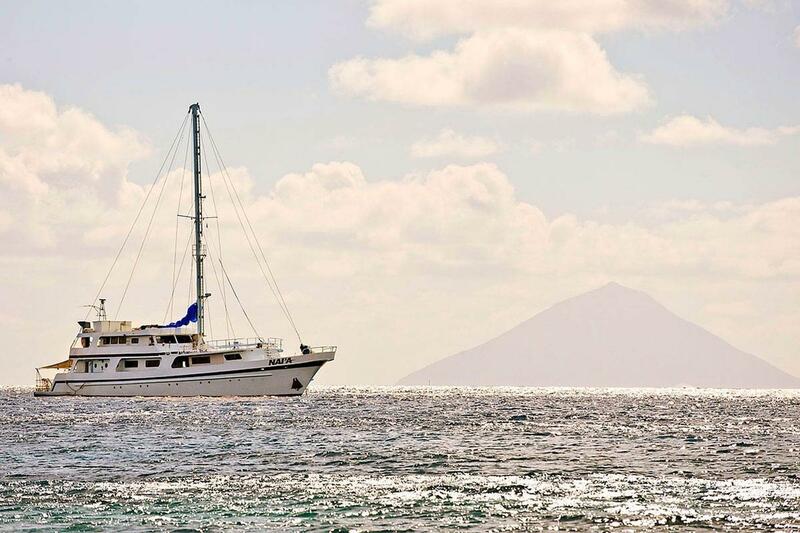 The Nai’a is a stunning 37-meter long vessel that has been sailing through Fiji’s rich waters for over 25 years. It was built in 1979 and renovated in 2010. It carries up to 18 guests in its nine rooms that all have air conditioning, storage space, and power outlets. There are multiple cabin types with king and bunk bed configurations. Trips typically run around the Bligh Water, the Wakaya channel, Nigali Passage, and the Mutiny Mount — all of which are truly a photographer’s playground. On deck, you can find a dedicated camera area, stunning saloon, and lounge area. All meals are included with your stat as well as a glass of wine with dinner. Beer and other alcoholic drinks are available for extra. 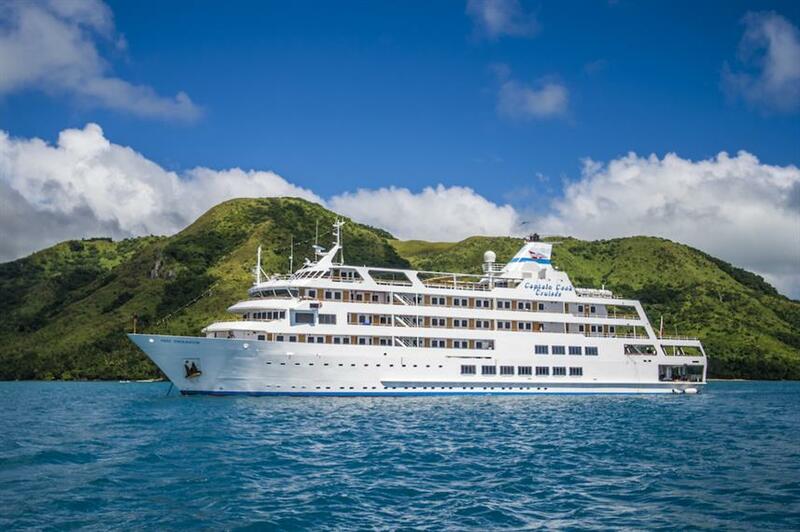 The Reef Endeavor is a well-rounded cruise that typically explores the Yasawa, Mamanuca, and Viti Levu islands. With a 64 rooms, a swimming pool, spa, gym, two bars, multiple lounges, dining areas, and even a shop, there’s little reason to be bored on the Reef Endeavor whenever you’re not diving. Each room comes with an ensuite bathroom, air conditioning, hair dryer, and is serviced daily — making it one of the most comfortable liveaboard trips in Fiji. As the Reef Endeavor is more of a cruise that offers dive packages rather than a traditional liveaboard, divers must purchase a dive package. 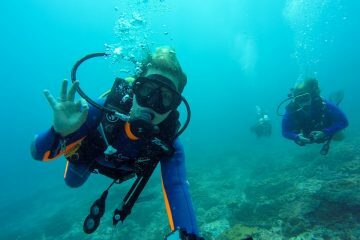 Dive trips are run from a small tender and typically venture to some of Fiji’s hidden dive sites. It’s a great fit for mixed groups, families, and travelers wanting to share their experiences with others as they cruise around the Friendly Isles. Reef Endeavor is more of a leisure cruise that offers dive packages for an extra cost. You will be sharing the large space with non-divers, as dive packages are purchased as an extra on the cruise. The Reef Endeavor is a great pick if you want a leisure holiday with a bit of diving thrown in as well. Or, if you are traveling through Fiji with a mix of divers and non-divers. Meanwhile, Nai’a and the Fiji Aggressor are traditional liveaboard trips where the emphasis is on diving.